EPCO's ProSeries Elite Ceiling/Pendant and Wall Mount LED Utility Luminaires are made with a die-cast aluminum housing and uses a driverless LED light engine with 93% of electrical efficiency suitable for a variety of lighting applications. We use high-power LEDs which provide excellent white-light distribution and color-rendering quality that portrays the true colors of objects with no perceptible flicker at 120Hz. This properly designed LED light engine reduced energy consumption and lowers carbon emissions packaged in a small form factor and is ideal for universal building integration. Producing 79 lumens per watt and built with high-quality materials and workmanship, this durable IP65 rated weather-resistant LED light engine uses solid core, pre-shrunk silicone gaskets that provide a water-tight seal against the outside environment. This combination of materials ensures a consistent and reliable long lasting performance at a competitive price. ETL Listed to UL 1598C. Reduces energy consumption up to 75%. 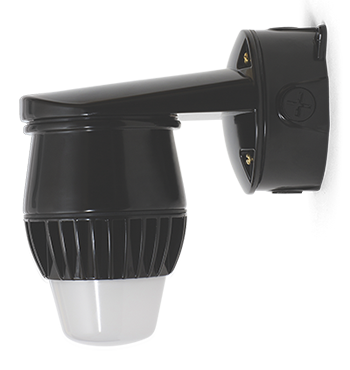 High-performance, long lasting LEDs make the luminaire virtually maintenance free. 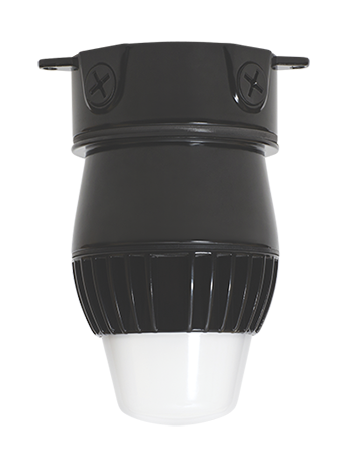 Equivalent to 75-Watts of incandescent lumen output that consumes only 15-watts of electricity. Circular distribution pattern evenly distributes light at all lateral angles; requires fewer fixtures than traditional illumination sources. Blends with existing fixtures, complements sight line uniformity. 15.8 Cubic Inch die-cast aluminum junction box meets NEC junction box fill requirements for adding an additional circuit. Weather-resistant IP65 rating for outdoor and indoor applications. Warranty: Five (5) years or 50,000 hours. Includes luminaire bracket and housing assembly, 15.8 cubic inch die-cast aluminum junction box and mounting lugs, LED light engine and diffuser assembly, high temperature silicone gasket, and brass and stainless steel hardware. Lightweight compared to other competitive offerings, compact, and timeless styling. 100% impact resistant, precision-molded, UV resistant polycarbonate diffuser. Superior LED optics magnify lumen output with minimal glare. Durable die-cast aluminum housing heat sink is finished in a black "E" coat material; will not rust or corrode in most harsh environments. Continuous silicone gasket between the junction box and luminaire base eliminates the ingress of dirt and moisture. Wiring Harness: 3-Wire (Black, Neutral, and Ground) quick connect with pre-stripped 3/8" (.375") leads; 167°F (76°C) minimum supply wire required.